ObamaCare is driving up health insurance rates, exactly the why Democrats wanted it to happen. Millions are losing their employer-based healthcare coverage and are being forced unto state exchanges, exactly the why Democrats wanted it to happen. Health insurances companies are leaving the exchanges trying to stay in business, exactly the why Democrats wanted it to happen. : ObamaCare isa train wreck according to many, exactly the why Democrats wanted it to be. Las Vegas Sun reports in just about seven weeks, people will be able to start buying Obamacare-approved insurance plans through the new health care exchanges. But already, Senate Majority Leader Harry Reid is predicting those plans, and the whole system of distributing them, will eventually be moot. “What we’ve done with Obamacare is have a step in the right direction, but we’re far from having something that’s going to work forever,” Reid said. 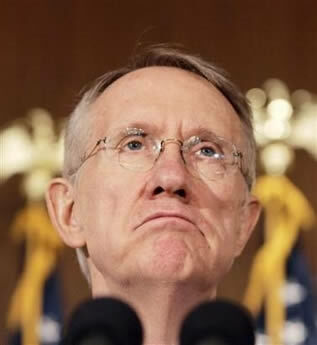 Eventually, Reid decided the public option was unworkable. Reid cited the post-WWII auto industry labor negotiations that made employer-backed health insurance the norm, remarking that “we’ve never been able to work our way out of that” before predicting that Congress would someday end the insurance-based health care system.